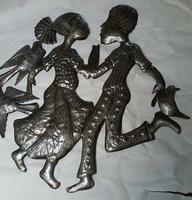 Dancing couple with birds. 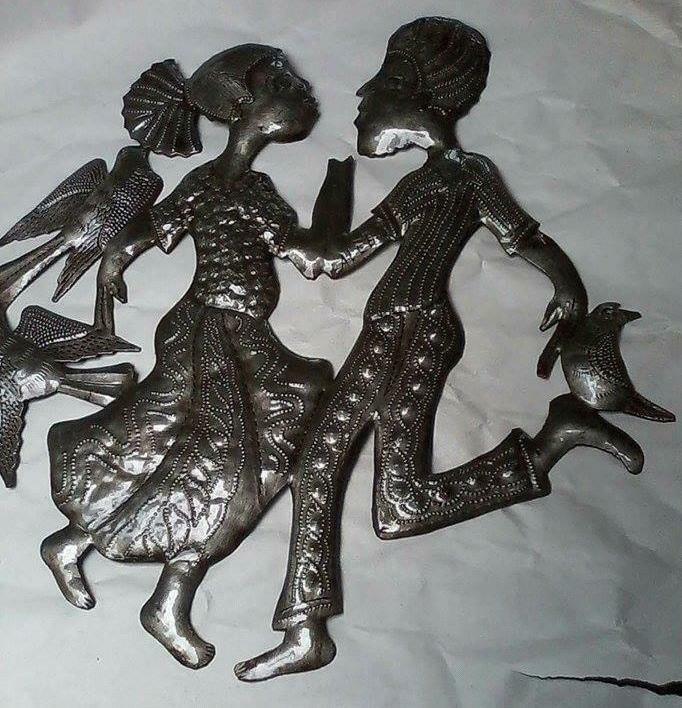 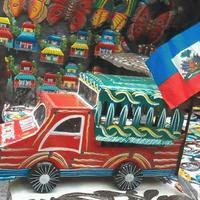 Haitian metal art. 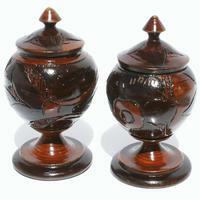 Size 60cm.